The Night of the Proms tour 2013 ended at the ÖVB Arena in Bremen on December 22nd, after three weeks on the road and 19 concerts around Germany. Morten performed the same five songs he’s done at every concert, before an audience of 8000 people. The final week of the tour also included a concert at the EWE Arena in Oldenburg on December 17th, an additional show that wasn’t listed on the original tour schedule. Morten previously played in Langesund in 1996, while a-ha played there in 2001. Update: Tickets for the concert are now available at billettportalen.no. Apparently there’s a 20% discount if you buy your ticket before the end of the year. A selection of live highlights from Night of the Proms 2013 were broadcast on the German radio station Bayern 3 last night. Four of Morten’s songs were included; “Foot of the Mountain” / “Stay on These Roads” / “Did I Leave You Behind” / “The Sun Always Shines on TV” – plus “Hey Jude” together with the other artists. “There is a Place” was left out. His performance was recorded in Munich on December 14th. Tickets for these shows go on sale via Eventim on Tuesday, December 17 at 9:00am. 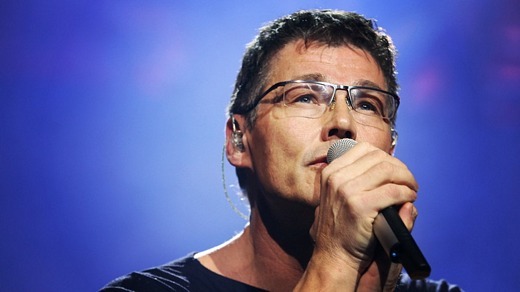 Morten will be back in London at the O2 Shepherds Bush Empire on May 16! Tickets go on sale to the public on Friday December 20 at 9:00am via Gigs & Tours. 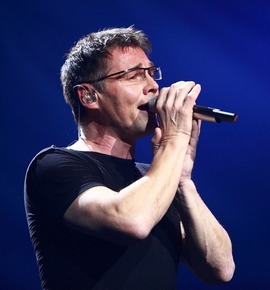 Concert promoter Marek Lieberberg sent out a press release in connection with the German dates, which says that Morten’s upcoming album is called Brother – the same as the first single. The press release goes on to say that the album has similarities with Wild Seed. Incidentally, Morten used to perform a song called “Brother” live in the late 90s – as pointed out by @tTrovik on Twitter. That song, also known as “Father”, was the English version of “Lyser Når Du Drar” from Vogts Villa. I can’t really see it being the lead single off the new album, unless it’s been heavily reworked. So this new “Brother” may be a different song using the same title. A new documentary film about Edvard Munch, Let The Scream Be Heard, made in connection with the 150th anniversary of the birth of the famous painter, aired on NRK1 in Norway last night. Magne was one of the people interviewed, alongside other artists like Marina Abramovic, Tracey Emin, Ketil Bjørnstad and Liv Ullmann. Magne’s own early work was heavily inspired by Munch, as could be seen in his first solo exhibition “Maleri” in 1989. 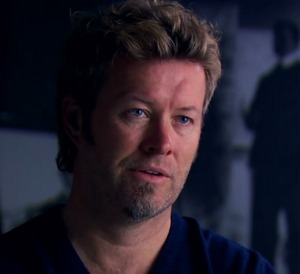 “You’re floored by his ability to make complex things appear simple”, Magne says in the documentary. The 57-minute english language documentary was made by Indian director Dheeraj Akolkar and can be seen online at nrk.no (Norway only). The ‘Over Oslo’ Festival is in its fourth season in 2014. 370 meters above Oslo, but still only just over a block from downtown, the festival takes place in quite spectacular surroundings. There is forest on all sides and a vantage point overlooking the artists and the city. “One of Oslo’s finest summer traditions,” wrote Dagsavisen in 2013. In the past, all days of the festival have sold out, usually well before the event. Tickets for June 20th cost 690 kroner and are available now at billettservice.no. The Night of the Proms tour continues, and tonight Morten and the other artists are performing in Luxembourg. “I’m kind of used to being on stage. Obviously, being on stage has to do with contact with the audience and that connection, with the music as the agent between. That’s what it’s about. What is different for me here is obviously this big ensemble behind me and this huge orchestra. And that opportunity is something you don’t really get often. I’ve done it, kind of, many times over the years. We’re talking about 30 years now. But to be able to do it like this, on a daily basis more or less – because we play virtually every night – is an opportunity of a different kind. 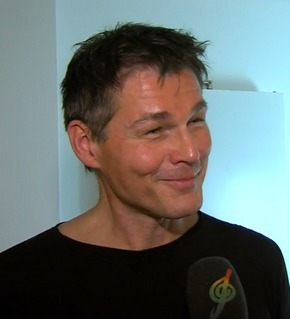 So that is what stands out for me”, Morten tells interviewer Markus Othmer, who also hosts the shows. 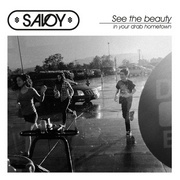 “That is a great opportunity as well, because these songs are really fresh. They’re very new. It’s not long ago I sat on a couch with a guitar, together with Peter [Kvint], my songwriting partner. And these songs were just that. And all of a sudden, five minutes later, it’s in such a setting. So this I’ve not done before”, Morten says. 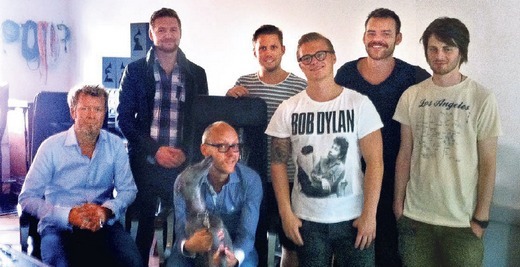 Recording the EP at Kensaltown Studios (l. to r.): Magne Furuholmen, Ole Richard Korsan Stuwe, Martin Terefe, Åsmund Knutson, Marius Beck, Nicolai Herwell and Sam Keyte. 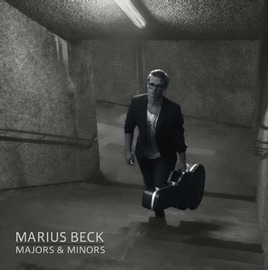 Marius Beck’s new 5-track EP Majors & Minors is released in Norway today. The EP was recorded at Kensaltown Studios in London in September, and has been produced by Magne Furuholmen and Martin Terefe. Magne also plays keyboard on the EP, while Terefe plays bass guitar. “The songs are more melancholic and on a whole different planet than what I’ve done before”, Beck said in a recent interview with newspaper Oppland Arbeiderblad. 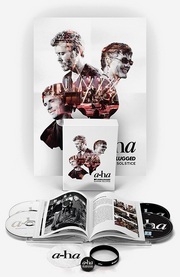 “The collaboration with Magne Furuholmen has been really good. I’ve been sending him demo tapes with new songs on a regular basis, and together we’ve seen the songs evolve”. 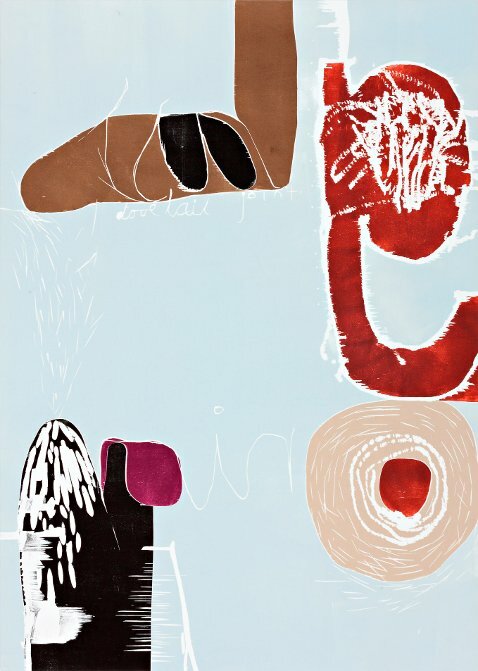 Majors & Minors is released through WiMP DIY and the Furuholmen/Terefe company Vox Watch Music. It is available for streaming and purchase on WiMP now, and will be up on iTunes soon. A UK release is planned for next month. The new fashion brand Jilani is now offering a limited edition Morten Harket jacket in their webshop. The leather jacket was co-designed by Morten especially for his appearance at the 2013 Billboard Music Awards in Las Vegas in May, where he performed together with Pitbull and Christina Aguilera. “Morten wanted to wear a jacket that reflected both the 80s and the present. He co-designed it himself. The jacket was only intended to be used by Morten at this particular event, but already the day after the Billboard Awards people started contacting us, wanting to buy it. So we decided to produce a limited number of jackets for sale”, Jilani writes on their blog. Morten recently visited the Jilani studios where he signed 50 limited edition jackets, which are now available for 9500 kroner ($1550) at jilanishop.no. Morten is the first artist to be confirmed for next year’s Roots Festival in Brønnøysund, Norway. The festival is held between 16 – 19 July, but the exact date for Morten’s concert has not been decided yet. “Morten Harket is apparently bringing along an incredibly good band”, festival manager Torstein Moe tells local newspaper Helgeland Arbeiderblad. “This is all about putting enough money on the table to make it interesting. He turned out to be pretty expensive. By far the most expensive act we’ve had in the festival’s history. But we’re very happy to have him confirmed”, Moe says. 3-day festival passes are now available from billettservice.no. Update (13 Dec.): The date will be 17 July. The Night of the Proms tour opened with two concerts in Cologne this weekend, where a total audience of 25,000 people filled the Lanxess Arena on Friday and Saturday. At the very end all the artists did The Beatles’ Hey Jude together. “Night of the Proms is something I’ve been asked to do over the years, but there’s never really been a suitable time. It’s with a big philharmonic orchestra. A lot of this and that musically, which is in itself interesting. It’s an opportunity of a different kind and I’m kinda curious as to what it will be”, Morten said in a backstage video filmed before Friday’s premiere. Yesterday Morten also appeared at a press conference together with some of the other NOTP artists. The tour will visit twelve more cities until December 22nd. As for “There is a Place”, the song has now been confirmed to be released in connection with Night of the Proms as “a taste of the music he is working on for his new album”. Whether it ends up on the album or not remains to be seen. The song is now available for download and streaming worldwide, through iTunes, Amazon, 7digital, WiMP, Spotify etc.